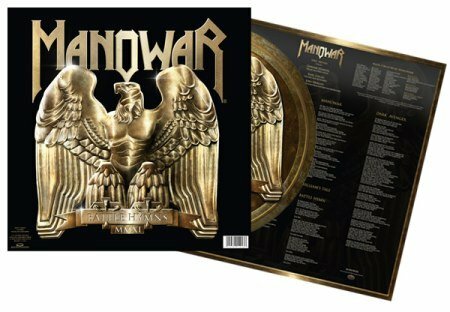 MANOWAR - BATTLE HYMNS 2011 VINYL (PIC LP) | Online Shop | Wizard LTD. Album: "BATTLE HYMNS 2011 VINYL (PIC LP)"
With the decision to reinterpret the music came the need to revisit the famed narration of the legendary Orson Welles. There was only one obvious choice and that was Sir Christopher Lee. Recorded at the famed Abbey Road Studios in London, his own inspired interpretation of the late, great Orson Welles on "Dark Avenger" is said to be "another jewel in the crown of the Kings Of Metal."